I was surprised when I viewed this photo. I thought I had just gotten a photo of a morning glory, had captured a moth inside. 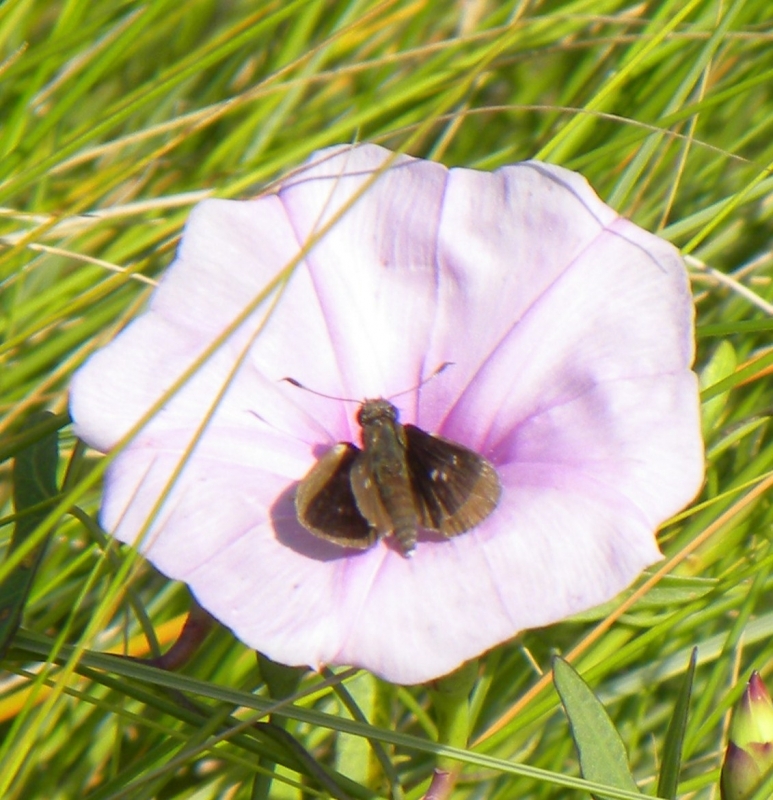 Pink Morning Glory Flower in the wild with a moth inside.